Guy Martin at DirtQuake 2017. 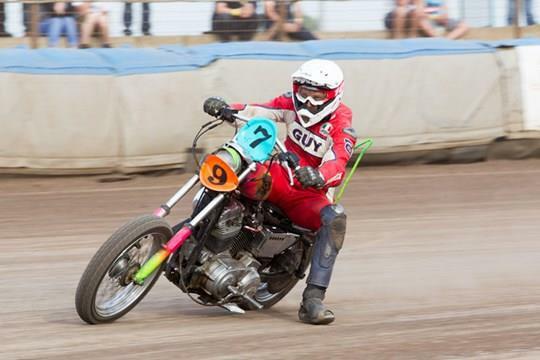 Guy Martin racing in DirtQuake 2015. 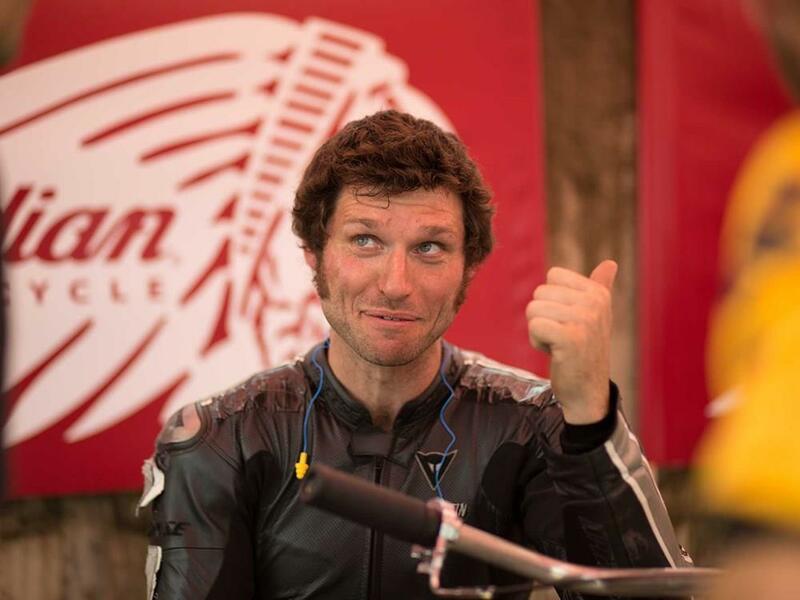 DirtQuake has announced that Guy Martin will be racing in their seventh event on Saturday, August 18 at a new venue in Essex. 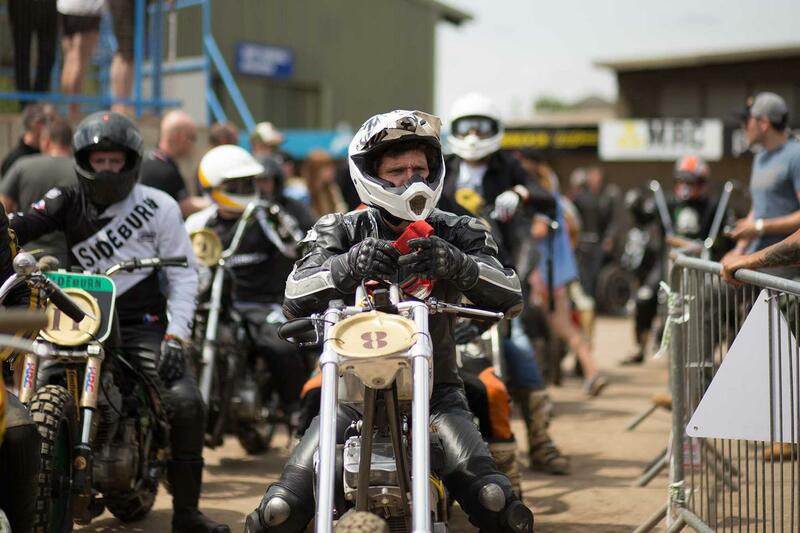 Arena Essex Raceway will play host to a day of wacky races from 11am on the day with categories including; scooter, ladies, chopper and street tracker racer along with the DTRA Super Hooligan Finale. TV coverage will be shot for ITV4 and Eurosport and will be presented by Gavin Emmett and Neil Hodgson. 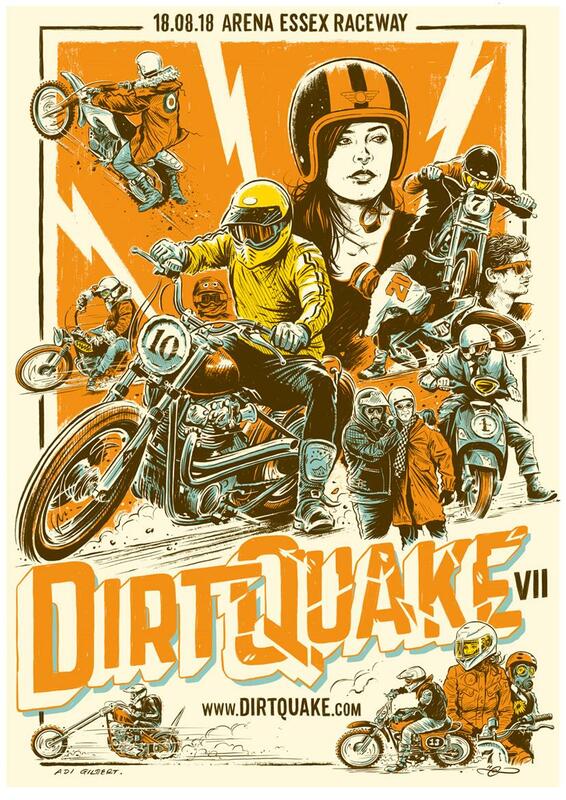 For tickets and more info visit the DirtQuake website. One of the fieriest races of 2017 was the Harley-Davidson race, which was overrun by riders on customised Street Rods. MCN’s man Glyn Pocklington put up a spirited fight but couldn’t quite match the speed of Pete Boast –as Boastie is a former national champion, we’ll give Glyn a break. The scooter class was also a riot as a suited and booted man on a tiny Vespa attempted to chase down the 750cc ‘sort-of-a-scooter-but-not’ Honda X-Adv. One of the closest races was the Women’s as Toria James got to grips with the Indian Scout only to be pipped in a dash for the line by Zoe David. With all the 2017 excitement, let's see what 2018 has in store. Guy Martin at DirtQuake 2017. Guy Martin at DirtQuake 2017 Guy Martin racing in DirtQuake 2015.